Remember those summer library reading challenges at your library when you were young(er)? The ones where you'd read a whole lot of books, add stickers to your chart and proudly turn in your achievement chart to the librarian in August? And in return you would be given a coupon for a free ice cream cone at Dairy Queen (glory hallelujah!!)? OH the joys and delights of that ice cream cone! What a satisfying conclusion to having just spent your whole summer on the living room floor, pouring over books. What satisfaction you felt with every single lick of vanilla ice cream which, if you were lucky, was also covered in chocolate sauce. Well, ice cream cones really don't make very good incentives for us anymore, do they? These days we'll consider it a reward if you take the ice cream cone away from our stressed out selves! (However, go ahead and leave the chocolate sauce with us.) The reward for reading must be refined. You know that sterling silver locket that I've been dangling about in your faces? 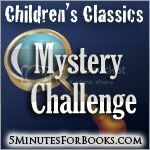 Well, you can increase your chances of winning one by participating in the Children's Classic Mystery Challenge! Well, click over HERE to 5 Minutes for Moms to discover how you can sign up at 5 Minutes for Books and follow the trail until you correctly enter and (*whew*) win one of five of these beauties from Emma Parker & Co. In the meantime, you can still consistently increase your chances of winning one from me by reading more books by Lucy Maud Montgomery. See, there are winners all around!!! The more you read, the more chances you have to win. These reading challenges, you have to admit, are a bit more classy for the grown-up girls. 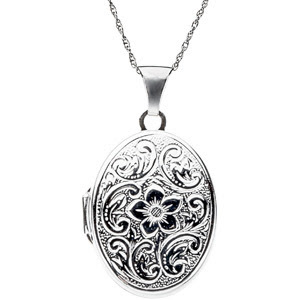 Sterling Silver Lockets. All you have to do? Read. And if you want - you can still have the ice cream (after the kids have gone to bed for the night). But this time you'll have to pay for it yourself. In oh so many ways.